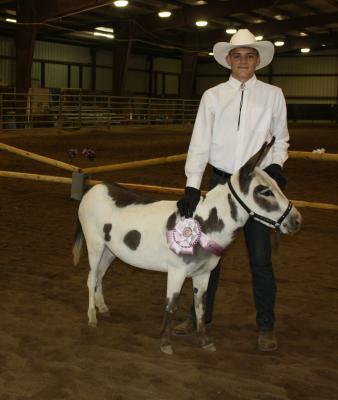 Results: We again made the trip west to Kansas Donkey Days. We had 3 grandsons and 9 donkeys with us. 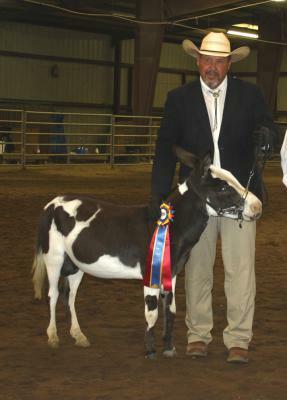 The show was held at Hoppy Acres owned by Bill and Carol Hopkins of Reading, Kansas. Thank you to the Hopkins' for your hospitality. Debby Miller and her staff put on a great show. We appreciate all your hard work and organizational skills. Congratulations to all the participants and winners. It was great to see all the "donkey people" again. 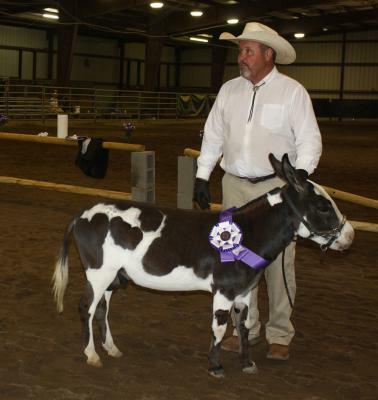 There were 17 farms representing 6 states and Canada, and over 60 donkeys at the show. 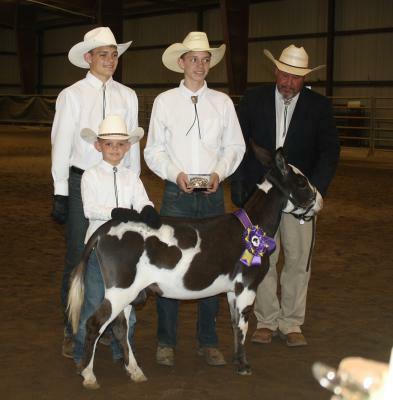 We were awarded our very first belt buckle at a donkey show. We are so proud of Oreo and all that he has accomplished! A big thank you to Kameron, Kyle, and Kellen Crim for helping Papaw at the show. You guys are amazing, and we love having you along. We like Pizza Ranch, too.